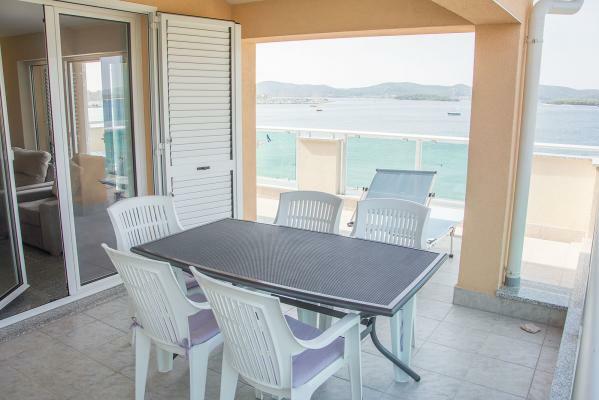 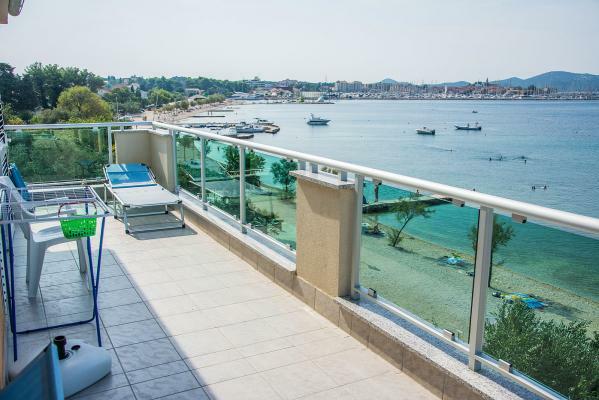 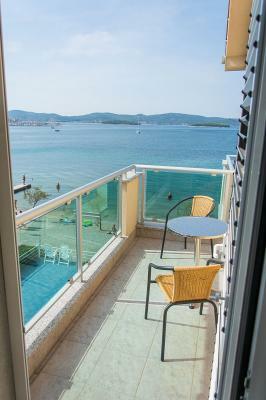 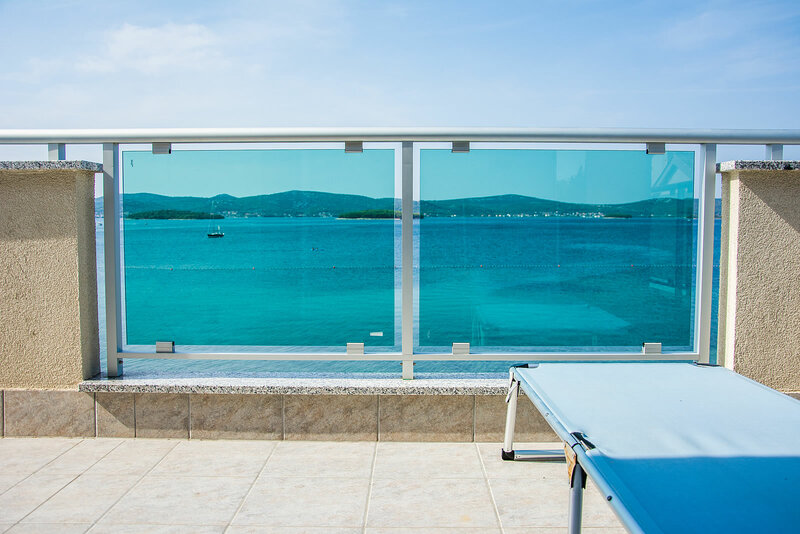 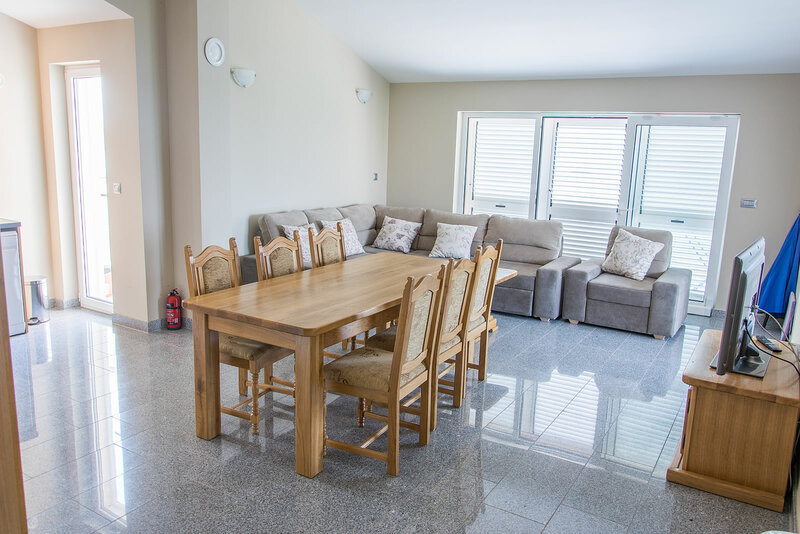 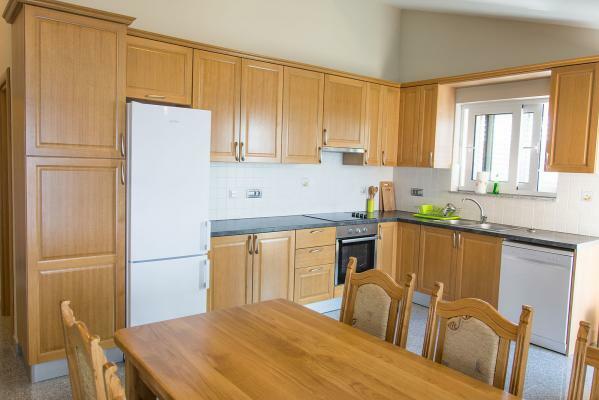 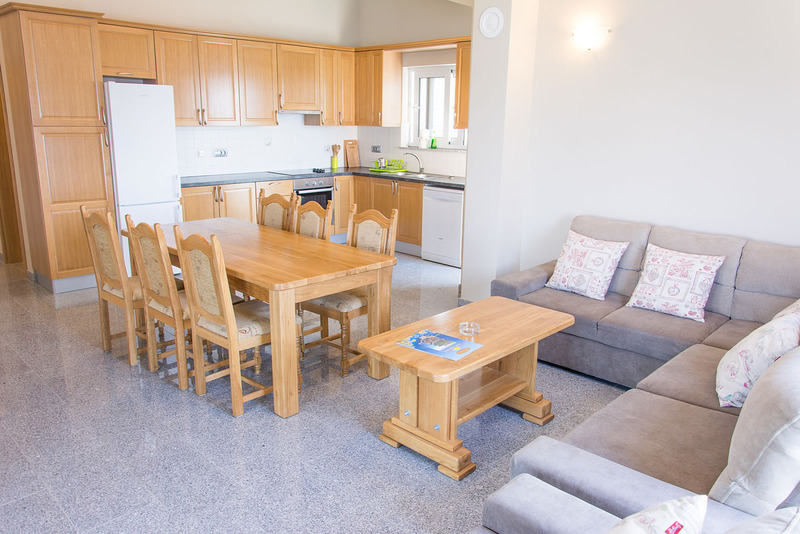 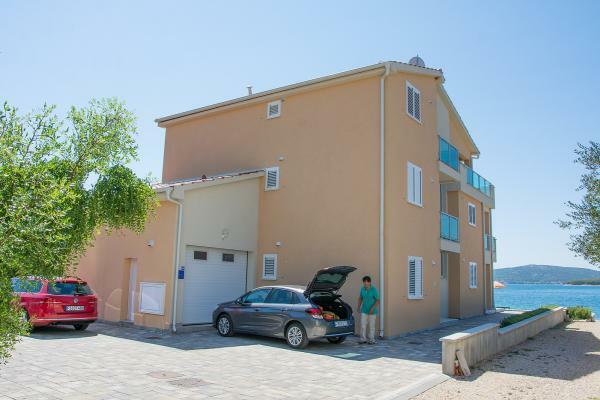 Behold this luxurious apartment to rent, in a new holiday house Villa Marija situated in Biograd na moru, on the beach Bosana - suitable for children and non-swimmers. 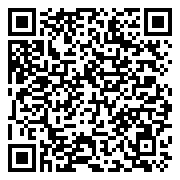 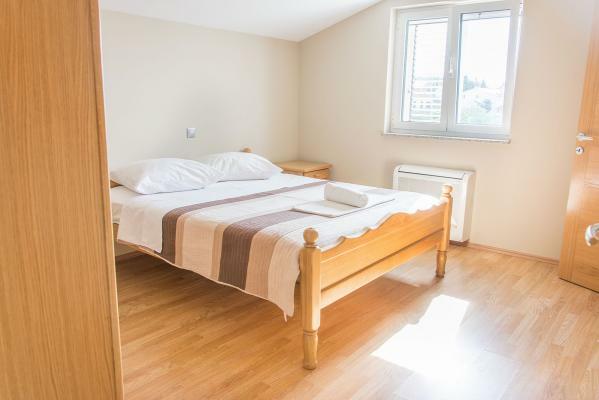 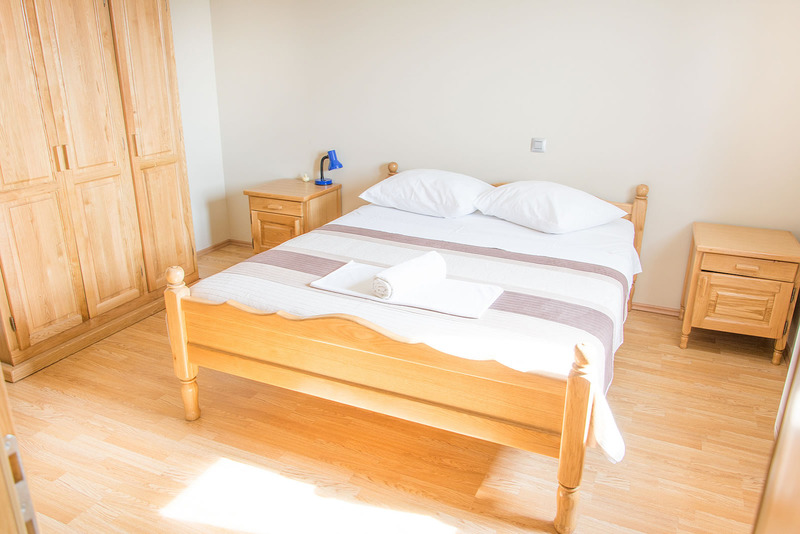 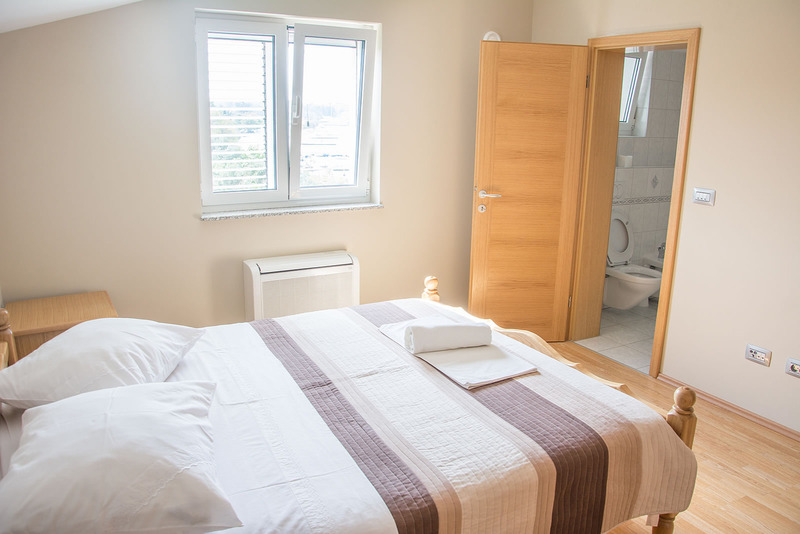 Apartment A4 (110 m2) is on the second floor, with two bedrooms and two extra beds in living room (available without surcharge), for up to 6 persons. 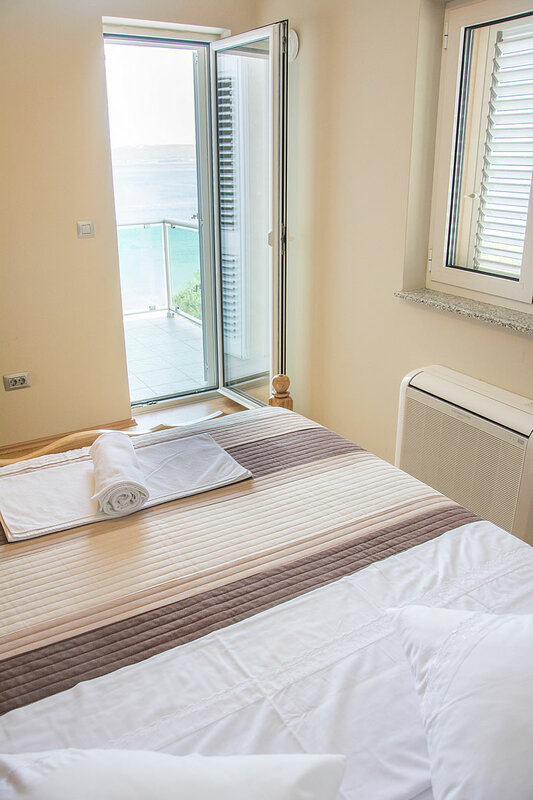 The apartment has three private balconies, the one accessed from the living room is the larger one, while the other two, one accessed from a bedroom while the other accessed from the kitchen, are smaller ones, but all are furnished and with direct sea and beach view. 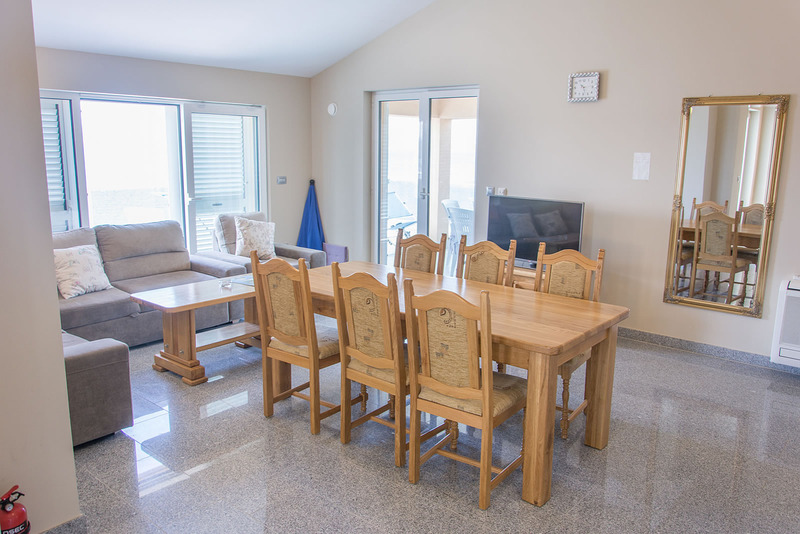 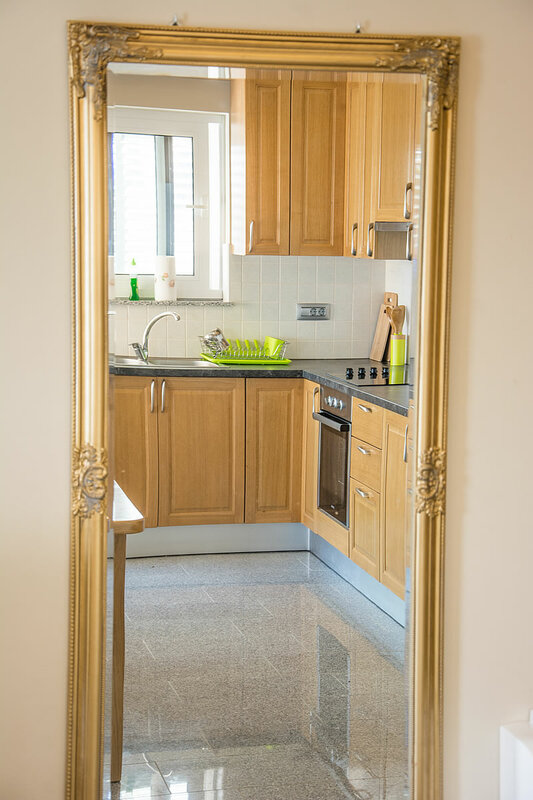 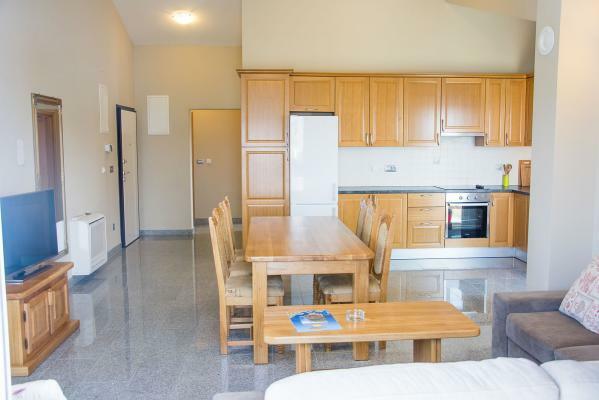 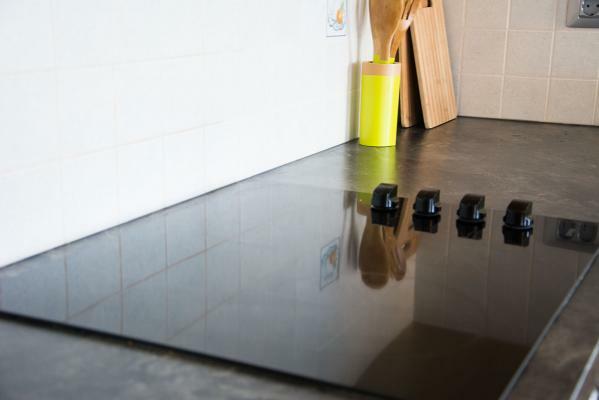 The equipment of this apartment includes a Wi-Fi (WLan) internet connection, air-conditioning (living room and each of the bedrooms), a SAT TV, in the kitchen - cutlery and crockery, cooking stove with baking oven, refrigerator with freezer compartment, coffee machine and dishwasher. 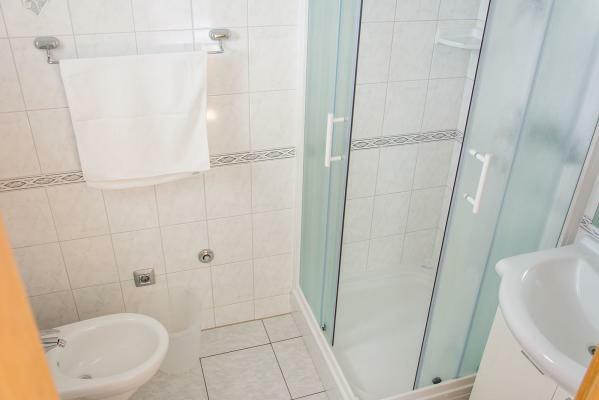 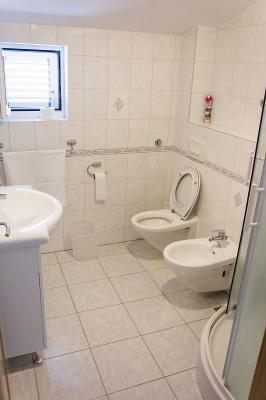 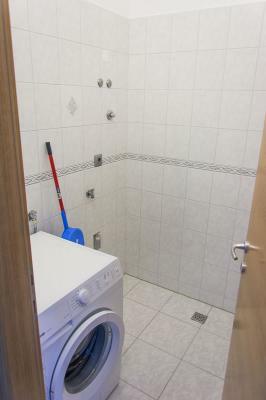 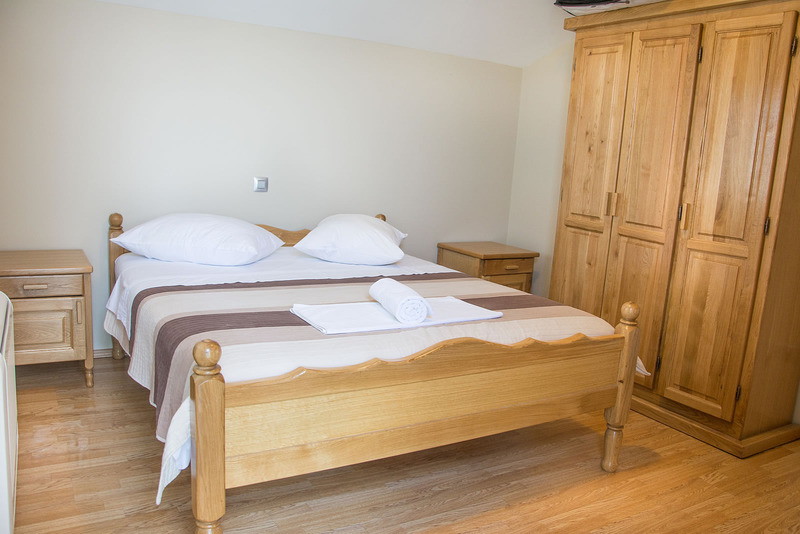 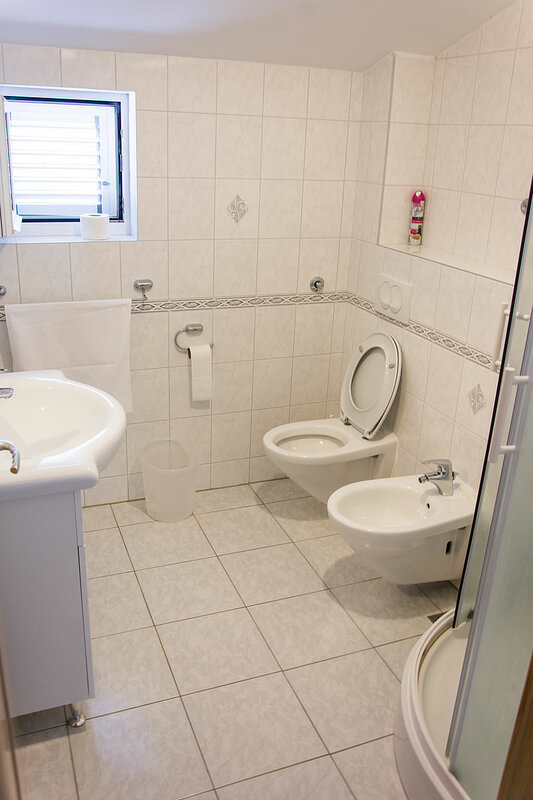 There are also two bathrooms with showers, and a washing machine. A barbecue and a spacious parking lot with two parking places per apartment are available for all guests of this fine establishment. There are two similar apartments both for 6-8 persons, one is on the first floor, presented here, and second one is on the ground floor, presented here. The villa has an anchorage in the sea in front of the house.